Superdry women’s Classics Hoodie. Part of the core range, this soft, light weight hoodie provides ultimate comfort, just what you need after a good workout. Its thermal properties make this ideal for wearing to and from the gym, and its reflective detailing improves visibility in low lighting. 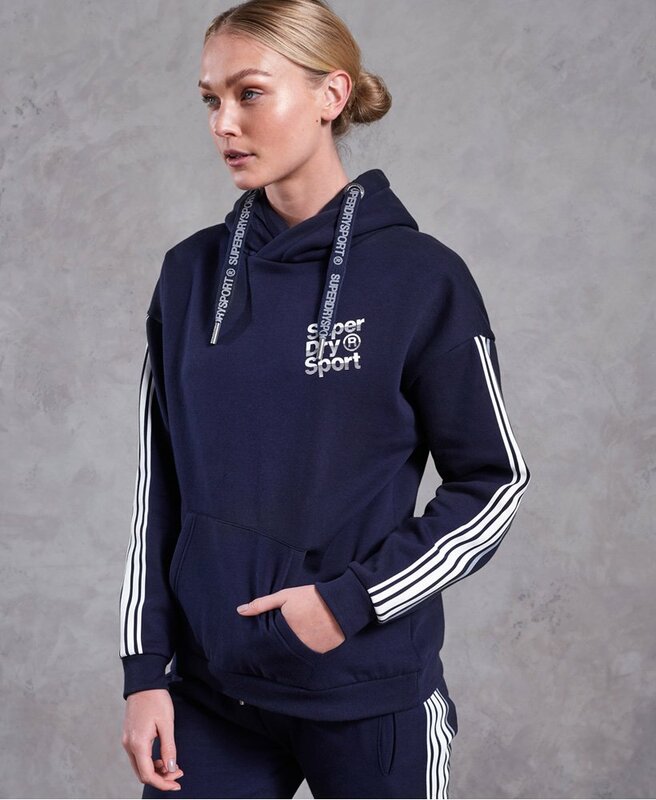 The hoodie features an adjustable drawstring hood, large front pouch pocket and ribbed hem and cuffs. This is finished with Superdry logo branding on the chest and back and stripe detailing down the sleeves.